US President Donald Trump has singled out Europe in a billowing trade row, threatening to tax German cars if the European Union doesn’t lower barriers to US products. His threat, issued amid a roiling dispute over Trump’s announcement of tariffs on steel and aluminium imports from nearly every country, came in a campaign rally late Saturday (10 March) in Pennsylvania. While it was not entirely clear whether the threat reflected actual US policy or merely an effort by the president to play to an appreciative crowd, he had used similar language earlier on Twitter. The announcement of duties of 25% on imported steel and 10% on aluminium has stung the EU and other major partners, coming as a surprise to allied countries and even, reportedly, to some close presidential advisers. 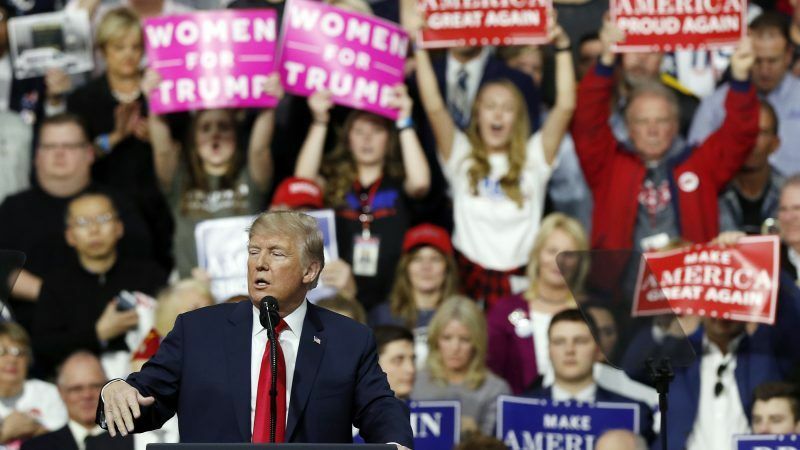 US President Donald Trump slapped steep trade tariffs on foreign steel and aluminium yesterday (8 March), drawing sharp protests from allies at home and abroad as the contentious move raised the spectre of a global trade war. But the deputy White House spokesman, Raj Shah, said Sunday that no one should have been surprised. Asked on ABC’s “This Week” whether Trump’s national security adviser, H.R. McMaster, was among those caught off guard, Shah demurred. Failing to include the national security adviser in talks on tariffs would seem highly unusual, given Trump’s argument that weakened US steel and aluminium industries would threaten national security. Both German automakers sell thousands of vehicles yearly in the US, but they also have production facilities in the United States. Bernhard Mattes, head of Germany’s VDA car association, told Handelsblatt business daily that policymakers must avoid a trade war at all costs, noting that BMW and other German automakers were also among the biggest US exporters in the sector. European Competition Commissioner Margrethe Vestager told German newspaper Bild am Sonntag that, if talks to secure exemptions failed, Brussels would impose countermeasures. “We have been building a global trading system for decades. European prosperity and millions of jobs depend on it – and Europe will not to stand idly by if someone puts the order of free world trade at risk,” Vestager added. The president made his comments after crunch talks in Brussels between EU negotiators and US Trade Representative Robert Lighthizer aimed at defusing the row and avoiding an all-out trade war.
.@MalmstromEU met @USTradeRep Lighthizer & Minister @SekoHiroshige. Brussels has pushed back hard against Washington’s shock measures, loudly announcing a list of US products it could hit with countermeasures. 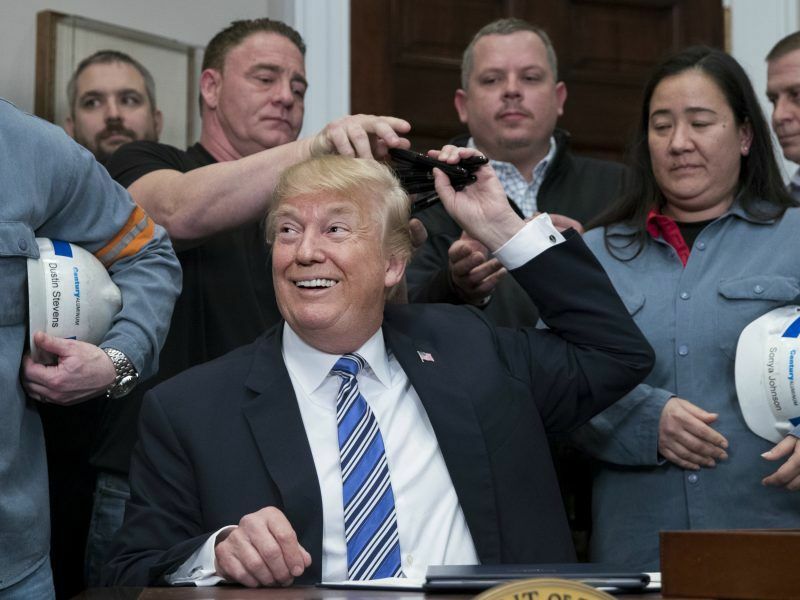 Many traditionally pro-trade Republican lawmakers in the US fiercely oppose the tariffs, saying they might help steel and aluminium makers, but would mean higher prices on many other products. Trump received rare support, however, from a liberal Democratic congresswoman, Senator Elizabeth Warren of Massachusetts. Warren, a longtime consumer-protection advocate and possible 2020 presidential candidate, was asked about the tariffs on CNN. Germany denounced moves by President Donald Trump to impose tariffs on US metal imports, saying Europe needed a united response to the threat and echoing criticism from China that it risked undermining the global trade system. “Trump’s policies are putting the order of a free global economy at risk,” German Economy Minister Brigitte Zypries told Reuters on Sunday in an emailed statement. Hours earlier in Beijing, Chinese Commerce Minister Zhong Shan said any trade war with the United States would only bring disaster to the world economy. Zypries added that Europe needed to avoid being divided by Trump’s offer to exempt some allies such as Mexico, Canada and Australia. But the European Union and Japan on Saturday urged the United States to grant them exemptions, with Tokyo calling for “calm-headed behaviour”.